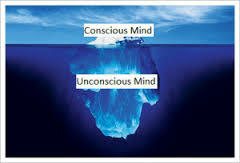 We have two states of mind, the conscious and the unconscious. There is a vast difference in the size of these two states. If you were to imagine a sitting room, then one of the chairs would be the size of the conscious mind whilst the rest of the room would be the size of the subconscious mind. It stands to reason that the bigger state of mind, the subconscious, will always win. When you want to quit smoking cigarettes then to succeed changes need to be made in the subconscious mind. You may consciously want to stop smoking cigarettes but if the subconscious mind is not in alignment and thinks you are getting a benefit then you will not quit smoking. The reason why hypnosis is so successful in helping people to stop smoking is that changes to the habit are made in the subconscious mind. With hypnosis you are able to make suggestions that allow the subconscious mind to realise that smoking is not beneficial. People often worry that the hypnotist will control them but the fact is that you have to want to make the changes. If you do not want to quit smoking, then hypnosis will not work. It is important that you want to stop smoking, if you do then hypnosis can be extremely effective in helping you to quit smoking cigarettes.